← Portal is FREE till 24th May 2010! Back in March, Nintendo released a press release stating that they’ll unveil the successor of Nintendo DS in E3. And now it is officially revealed! 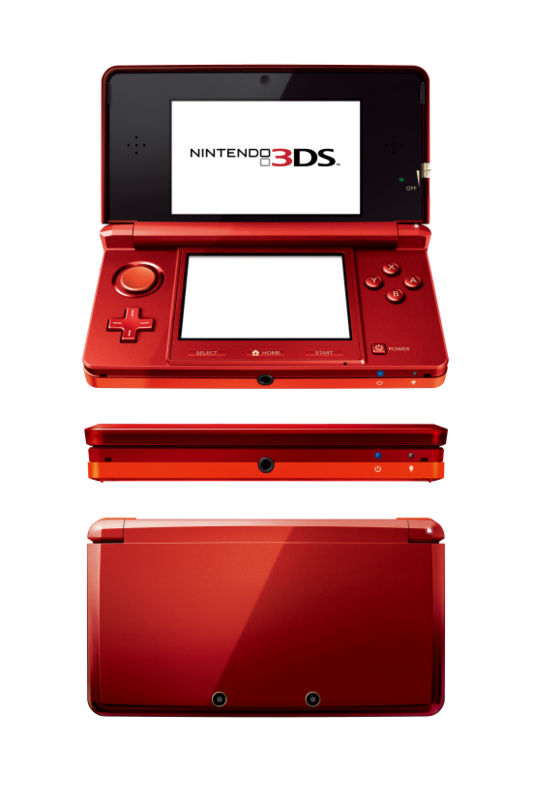 Now we finally know the spec of the 3DS. 😀 First, the top screen will be larger and will be 3D-capable. The 3D effects can be viewed without wearing any special glasses. Good for portable 3D-gaming. But the touch screen is not a 3D screen. There is also a “Slide Pad”, which is similar to the analog stick for the PSP. The 3DS also have a 3D camera, which allow you to take 3D photo! The 3D-“ness” or depth can be controlled by a 3D Depth Slider. Currently no pricing and release date. But according to Nintendo, it should be released before the end of their fiscal year, which mean it should be released before 31 March 2011. I guess that the price should be less USD300, but this is not confirmed yet. Hope we’ll get more details by year end. Detailed spec after the jump. Size (when closed):Â Â Approximately 5.3 inches wide, 2.9 inches long, 0.8 inches tall. Weight:Â Â Â Approximately 227 gram. Top Screen:Â Â Â 3.53-inch widescreen LCD display, enabling 3D view without the need for special glasses; with 800×240 pixel resolution (400 pixels are allocated for each eye to enable 3D viewing). Touch Screen:Â Â Â 3.02-inch LCD with 320×240 pixel resolution with a touch screen. Cameras:Â Â Â One inner camera and two outer cameras with 640×480 (0.3 Mega) pixel resolution. use, it can automatically exchange data with other Nintendo 3DS systems or receive data via the Internet while in sleep mode. Game Controls:Â Â Touch screen, embedded microphone, A/B/X/Y face buttons, + Control Pad, L/R buttons, Start and Select buttons, â€œSlide Padâ€ that allows 360-degree analog input, one inner camera, two outer cameras, motion sensor and a gyro sensor. Other Input Controls:Â Â Â 3D Depth Slider to adjust level of 3D effect (can be scaled back or turned off completely depending on the preference of the user), Home button to call system function, Wireless switch to turn off wireless communications (even during game play), Power button. The telescoping stylus is approximately 4 inches when fully extended. Input/Output:Â Â Â A port that accepts both Nintendo 3DS game cards and game cards for the Nintendo DSâ„¢ family of systems, an SD memory card slot, an AC adapter connector, a charging cradle terminal and a stereo headphone output jack. Sound:Â Â Â Â Stereo speakers positioned to the left and right of the top screen. Battery:Â Â Â Lithium ion battery details TBA. 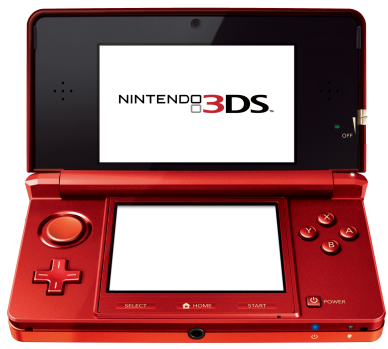 Parental Controls:Â Â Â Parental controls similar to the Nintendo DSi system will be included. 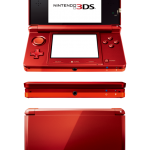 This entry was posted in Gaming, Hardware and tagged 3d, 3ds, ds, dsi, E3, nintendo. Bookmark the permalink. 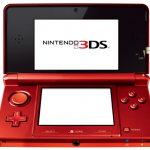 1 Response to Nintendo 3DS Officially Announced!